You finally got that ticket you have been holding out for, and soon you’ll be jetting off to see some of the most famous monuments in the world in Europe. The only thing is; it is typically not just the travel that is expensive, but almost everything about Europe is expensive. So you will want to pinch pennies in every way possible. With that in mind, here are some tips to save as much cash while backpacking around Europe. If this is your first time to say, Western Europe, and you want to do a tour that consists of London, Paris, and Berlin, no one can fault you for that. They are amazing places that are definitely worth your time and money to see. The only problem is that they are also three of the most expensive places in Europe. Instead, opt to visit places like Prague, Sarajevo, or Budapest, all places with super interesting histories, artistic and cultural sites to visit, you just won’t be dishing out fivedollars for abeer. Speaking of beers, now’s a great time to revisit your New Year’s resolution of cutting down carbs and drinking less. This begins to get very costly over time, but you already found that out when you were saving to get those tickets in the first place, didn’t you? The latter is obvious: stay at cheap accommodations if necessary. But services like couchsurfing make it possible to hook up with amazing locals, see the town through their eyes instead of just partying with foreigners and you’ll have a place to crash for free – what’s not to like? Depending on where you are, hitching a ride may be totally normal and very safe. Use common sense, of course, and go with another person if possible. The people you catch a ride with may be some of the most memorable you will encounter! 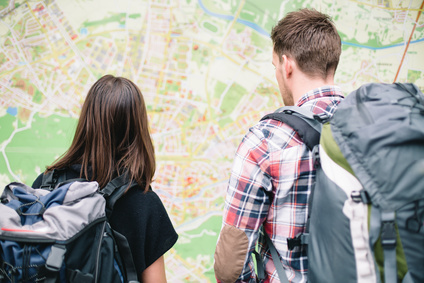 This is just a good idea to make the most of your travel experiences, so do this anyway. But occasionally, they might offer up a warm meal or bed as a goodwill gesture if they have taken to you. If this does happen, be sure to repay the kindness! This can be anything you already enjoy doing, but can take with you to help fund your trip. Ukulele playing, juggling, breakdancing, magic tricks… you name it! These can all help you meet people while putting out a hat might earn you money. Want to get really lean? Bike around Europe and save money. This is not as crazy as it sounds, as many have done this before. There are going to be things you will want to do that cost money, like buying Rome Opera Tickets whilst in Italy. Allocate your fundswisely on what you want to do, and you won’t miss out on any of the highlights. Investing in a place long-term by choosing to live there for a short amount of time lets you set deeper roots, network better, and saves you money over the long term since you can cook your own food and rent on a longer basis. Finding a job teaching English, working on a cruise ship, or writing articles online takes work, but might not be as difficult as you might think. Being able to earn even a small amount of money whilst backpacking in Europe will prevent your bank balance from constantly decreasing.